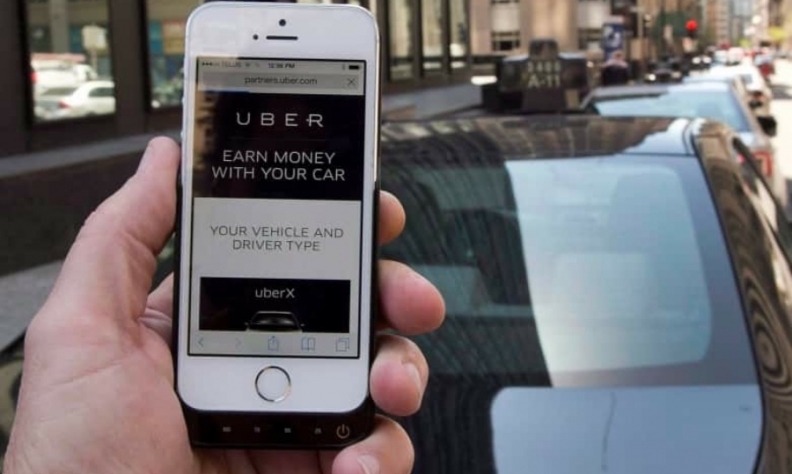 TORONTO — Passengers landing at Toronto's Pearson airport are now able to arrange to be picked up using their Uber and Lyft ride-hailing apps. The Greater Toronto Airports Authority says Uber and Lyft customers can request rides at Canada's largest airport under a pilot program that started Tuesday. The service will give another option for 47 million annual airport passengers and 49,000 airport workers. Interest from other ride-hailing companies to operate from Pearson would be considered on a case by case basis, airport spokeswoman Maria Ganogiannis said. Until now, ride-hailing services could drop off passengers at the airport, but only authorized premium services such as Uber Black, Select and Lyft Premium could pick up from the airport. The Toronto airport authority says it studied similar operations at other airports and consulted locally to understand benefits and impacts to operators. As part of the pilot project, it will continue to monitor the impacts of this service on existing transportation providers and review their feedback. Unifor, which represents about 500 airport limousine drivers, opposes the change. “The licensed airport drivers currently pay more than $9,500.00 in fees for the privilege of picking up passengers and now the GTAA is going to allow anybody with a car to scoop their fares,” Unifor National President Jerry Dias said in a statement. He also takes exception to surge pricing used by app-based some ride-hailing services, which charge more during busy times of the time.